Colorado Springs EV Club: Model 3s get dual motor badging! Thanks to Tom Michel who sent me the photo of his recently badged Dual-Motor Model 3. 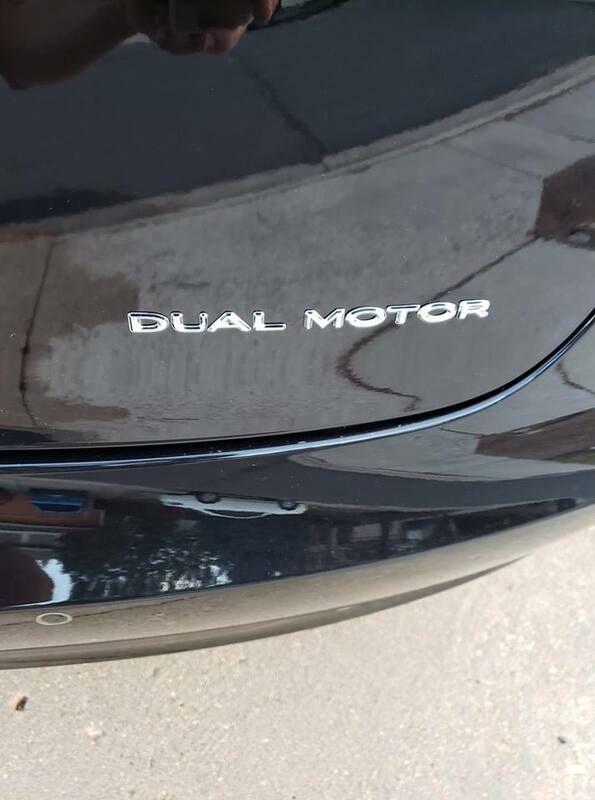 Just thought I'd share this picture of the Dual Motor badge that Tesla mobile service installed on my Model 3 yesterday. 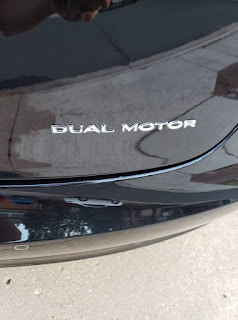 Apparently every dual motor 3 will get one (if so desired), but this was the first one that the Tesla tech had installed in Colorado. I’ll pass on the badge, but can’t wait for the spoiler. Latest update is that it has been pushed again to Q1’19.